Hello there! 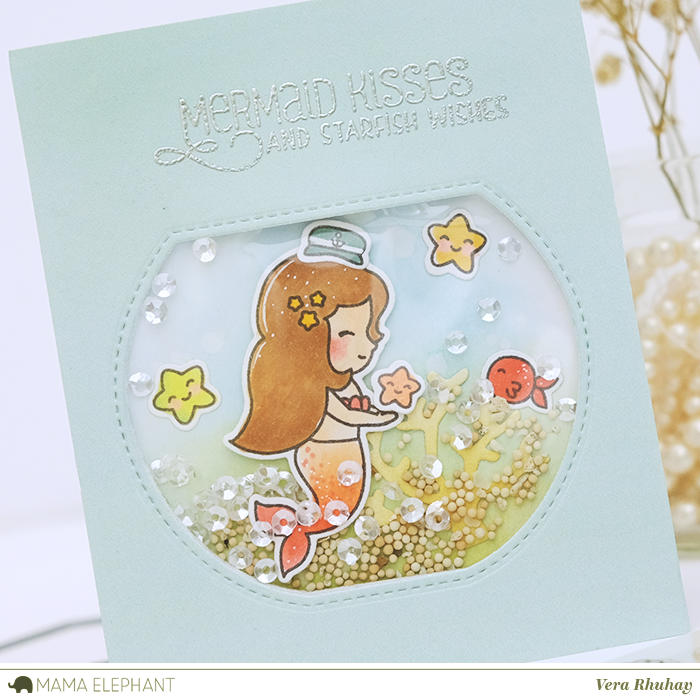 This is Vera, taking over Mama Elephant's blog for a final Mermaid Kisses inspirations week. 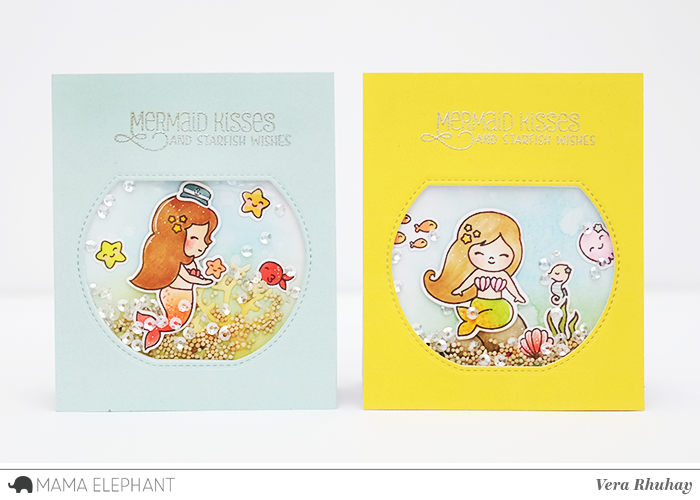 And today I have a set shaker card featuring Mermaid Kisses and Fish Tank Creative Cuts. Just a simple shaker cards. I die cut Fish Tank Creative Cuts on pastel blue and bright yellow card stock as my panel card. Blended my based card with distress ink and use real sea sand and sparkling clear sequins for my shaker card. I heat embossed the sentiment with silver embossing powder. 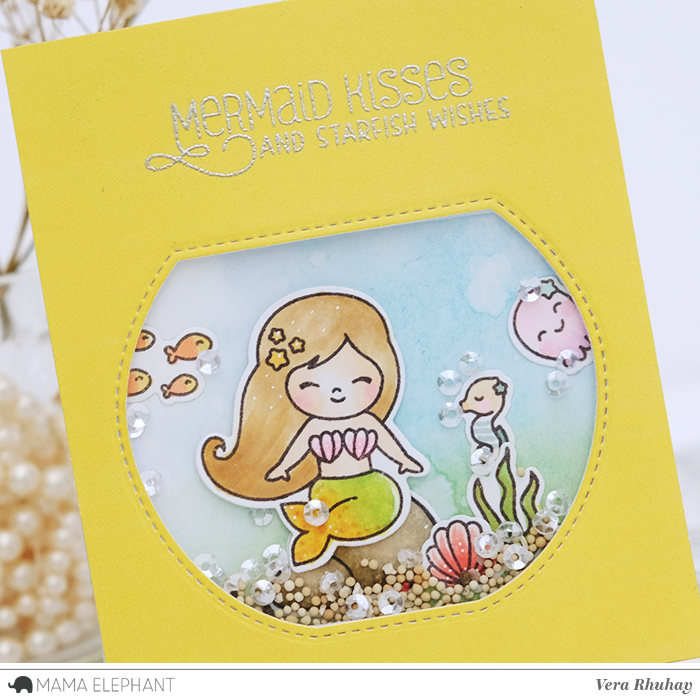 I stamped all images on Bristol paper and colored with Copics and then used the coordinating Mermaid Kisses-Creative Cuts to die cut them out. Darling cards. The images are so cute. Love the shaker card items. Adorable little scenes and love your coloring!